Is there a specific hymn tune you’d like to see arranged, and for what instrumentation? Let me know. Track 9 from my album Sampler. Visit http://www.cdbaby.com/Artist/JamesGilbert to purchase this or any of my 11 albums. I’m also on iTunes, Amazon, Spotify and more. A melancholy piece featuring pads, light drums and vocalise melody to start with. Then the track adds in some synth leads and synth bass part. The end echos the feel of the start. The Gravity sound library is used for the bulk of the vocalise. 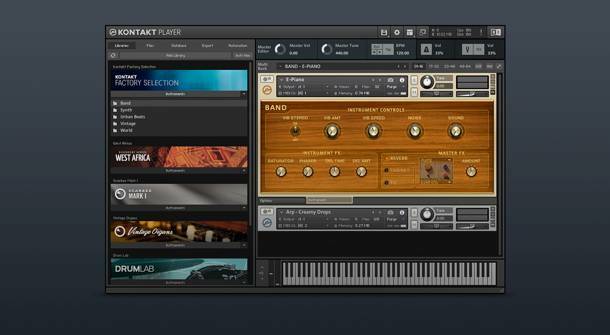 For the drums I used Drum Lab from Native Instruments. Also used for some rhythm elements was Grid II. The bulk of the sound in this track comes from the instruments. There is no EQ used on any of the instrument tracks. I did use the REAPER ping-pong delay and Native Instruments RC48 reverb unit with some EQ on the reverb. Only the two vocal tracks have any reverb added to it. Although I have the delay unit on a bus, I just realized nothing is being bussed there. So, just reverb is added to this track. For mastering purposes, I did not do anything beyond a peak limiter (just to make sure nothing peaked). To my ears at least, this piece just “worked” with the combination instruments I chose and without having to do anything besides balance levels. That’s something to think about as you compose and record music. Get it as good as you can prior to recording to audio and the mixing and mastering process will be easy. Please, please, if you like the album or these track notes, drop a note in the comments. Even if you don’t like it, drop me a comment. Now that I think about it, I’ve not had any comments since I moved the blog here. Maybe the comments only work for me? Anyone care to test it out? I’m taking a break from writing about the individual tracks on my new (July 2018) album. I will return to them. I sometimes wonder if anyone is reading these blogs of mine, I’d love to know. With practically no comments or interaction from anyone about my blog, I’d love to hear from you in comments or the contact form on my website. Earlier in 2018 I wrote that I was no longer selling my keyboard music as single titles but would instead be selling collections of my music. After experimenting with that for a few months I’ve decided to go back to selling titles individually. The benefits of having only collections available were outweighed by administrative and organizational elements that the average buyer of sheet music probably isn’t aware of. For example, keeping track of which titles are contained in which collection and which filenames are associated with those collections & individual titles. Whether it be keyboard, bells, instrumental groups or solos, I’ve only ever had one collection sell well. That being my Huge Classical piano collection book. This is probably due to classical music always being more popular than sacred or popular music arrangements and that few of the titles in that collection are available elsewhere from me. The thought occurs to me that maybe with digital music, people prefer to buy individual titles. Is it because the total price is cheaper? Is it because, unlike with collections, they don’t end up buying titles they don’t want. (That’s my reason for preferring singles to collections. I’ve quit buying Hal Leonard Jazz Piano Solo series books because I end up with too many titles I just don’t care anything about ). I’d really love to see a discussion of what you like or what other musicians you know like. Are there other reasons why people don’t want to buy collections in digital form as much as singles? Or maybe I’ve got it wrong. Maybe people do like collections better than single sheet music.